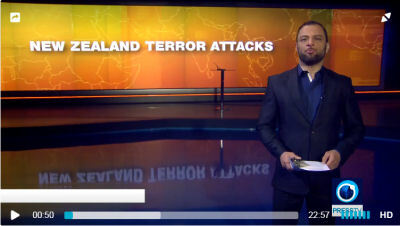 It looks like youtube has removed this excellent analysis of the New Zealand terror attacks, probably because it criticises the unipolar political perspective of the corporate press and big tech platforms. There is an embed code for the video at Press TV Iran's site, but for some reason it does not work. We will therefore simply link to the press tv site. You can click on the video picture to see the debate.